I found this recipe 2 years ago in Bon Appetit magazine and instantly knew it would be a hit. It is the perfect cold-weather food for a nice night staying indoors with a fire going and something good on the tv! Or if you are having a casual dinner with a couple friends…..It’s so darn good!! This dish couldn’t be simpler to throw together. 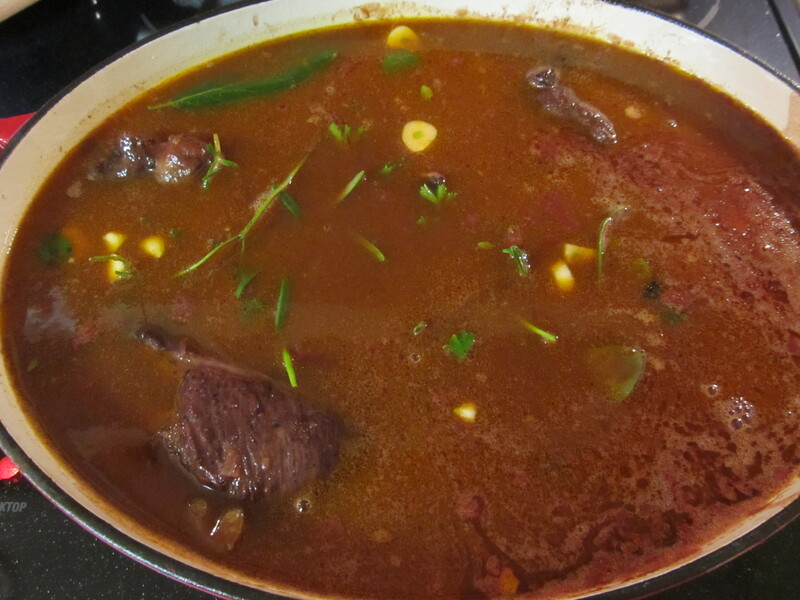 You brown the meat, cook the veggies, pour in the liquids and the meat, and then toss in the herbs. For some reason, we didn’t serve with mashed potatoes. We were feeling more like potato pancakes instead. The best thing about this recipe is that once you do a few mins of prep-work upfront, you just have to let the dutch oven do its magic in the oven for a couple hours. I really urge you to give this a try – it’s an unfancy gourmet dinner that will please everyone! 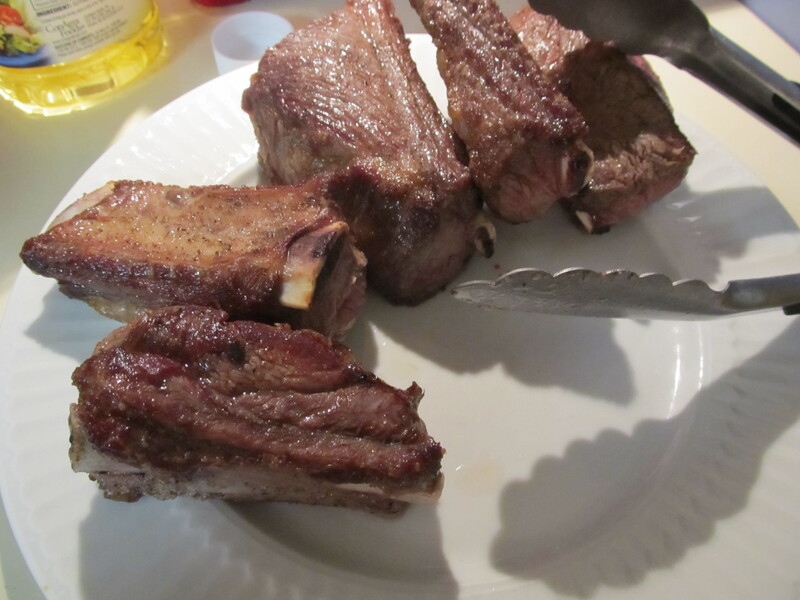 Season short ribs with salt and pepper. Heat oil in a large dutch oven over medium-high heat. Working in 2 batches, brown short ribs on all sides, about 8 minutes per batch. 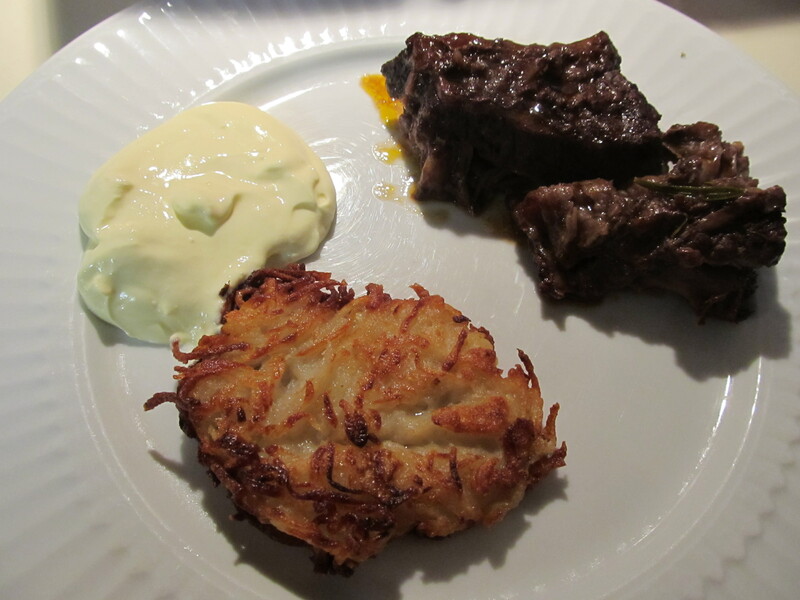 Transfer short ribs to a plate. Pour off all but 3 tblsp drippings from the pot. 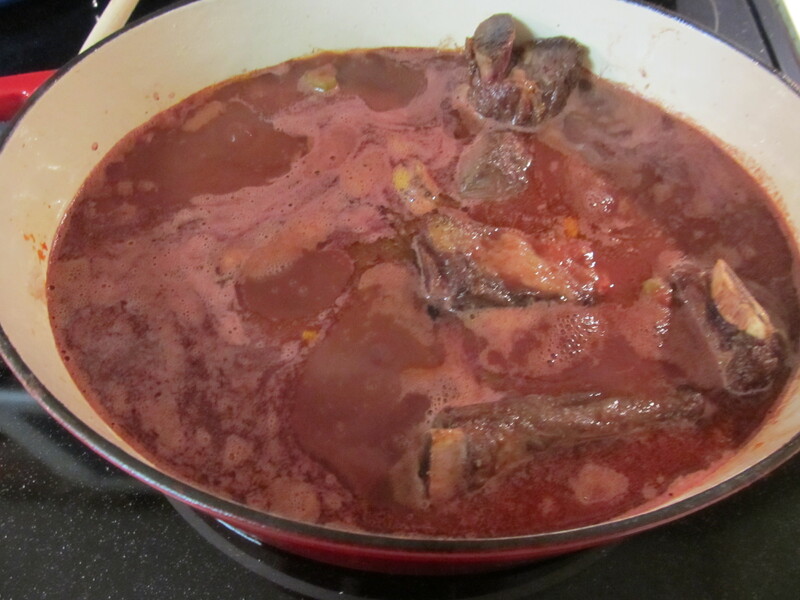 Add flour and tomato paste and cook stirring constantly until well combined and deep red (2-3 minutes). 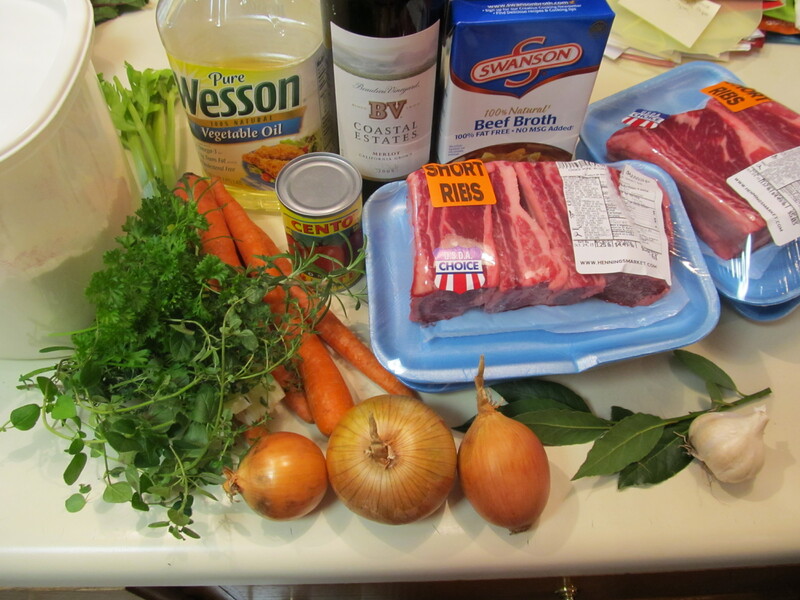 Stir in wine, then add short ribs with any accumulated juices. 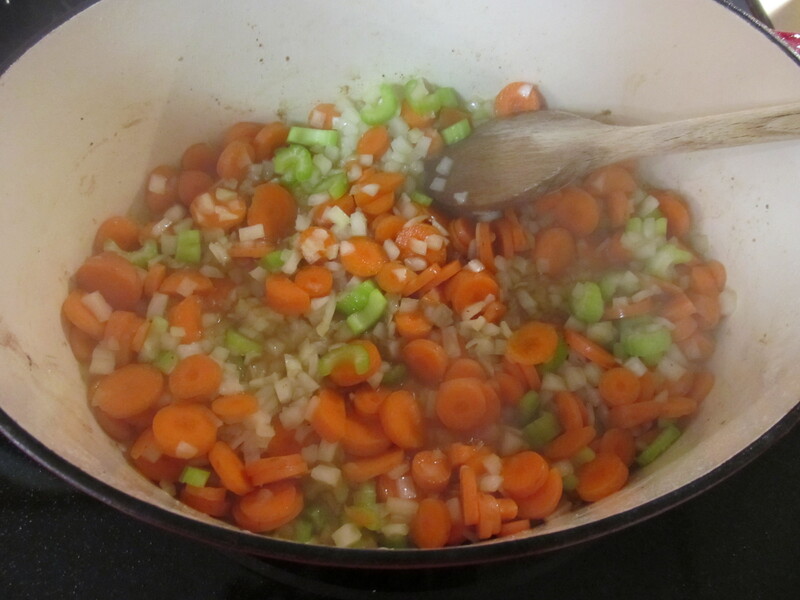 Bring to a boil then lower heat to medium and simmer until wine is reduced by half – about 25 minutes. Add all herbs to the pot along with garlic. Stir in the stock. Bring to a boil, cover, and transfer to oven. 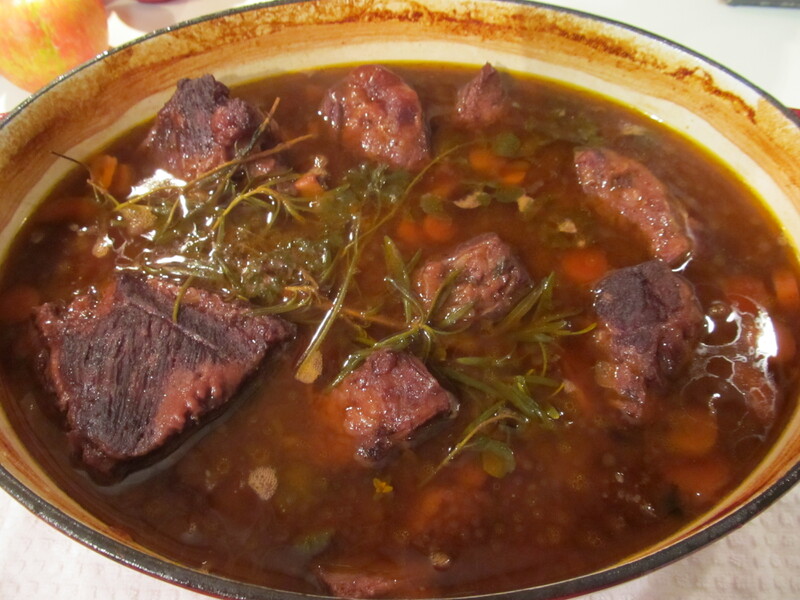 Cook until short ribs are tender – about 2 – 2.5 hours. 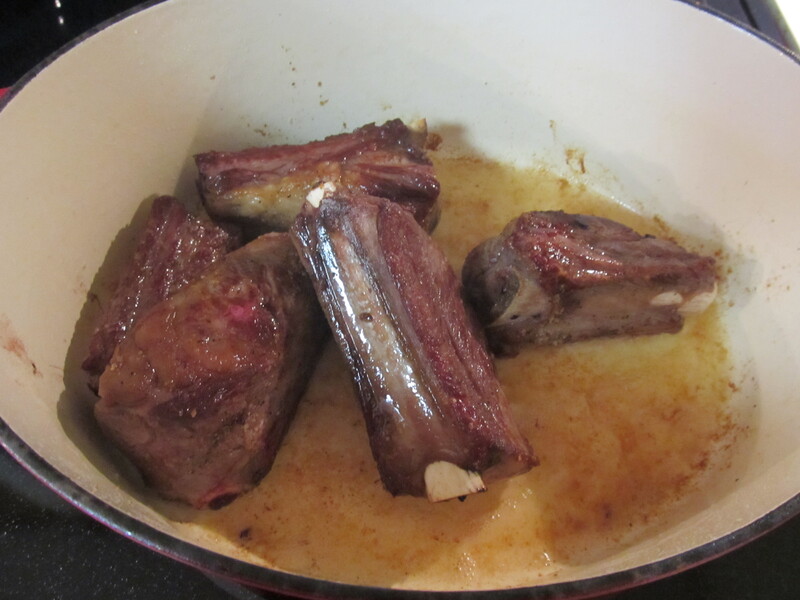 Transfer short ribs to a platter. Strain sauce from pot into a measuring cup. Spoon fat from surface of sauce and discard. Season sauce to taste with salt and pepper. Serve in shallow bowls over mashed potatoes with sauce spooned on top.